User centred design, coming to a government near you. 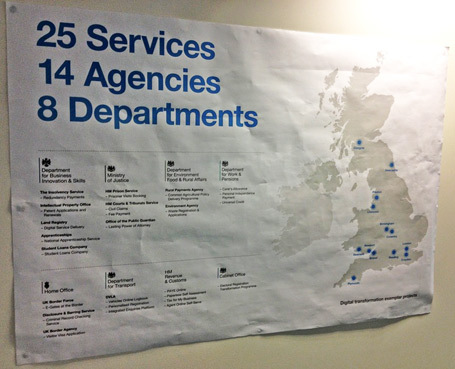 The UK government has built a serious design team, with a bias towards user research and a user centred approach. I’ve just returned from London, working with Government Digital Service, a massive team of researchers, strategists, designers, developers and general smarties with a lofty remit. 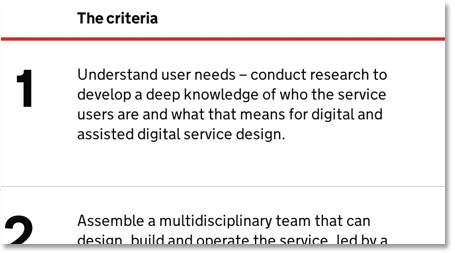 They’ve literally put the user at the centre of their process, and adopted user research as a core design tool. Their approach has been boiled down into a beautifully succinct ‘service manual’ which has become required reading for UX people, particularly in the digital field. Throughout the approach is a strong bias towards user research, with 25 researchers on the team (and growing), tackling every type and method of research I’ve heard of and the ultra broad spectrum of users which is… the UK public, and every way in which they interact with goernment. Their work extends way beyond digital into service design and interactions in the built environment, as it should. So to what degree is this happening in NZ? 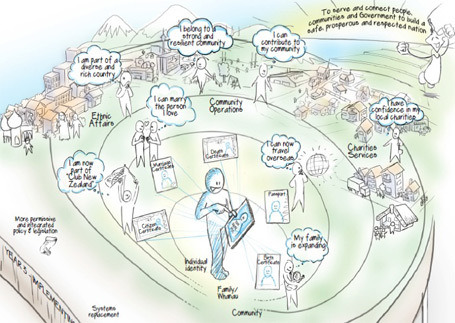 It’s called Transforming the System of Service Delivery and lays out the same goals and principles as a way to redesign the way services are delivered to Kiwis. I know IRD and the MOJ have some internal capability but when a wide reaching project like this kicks off, our telcos, banks and digital agencies will have to fight even harder for the best UX talent from the tiny pool here in NZ. and now look what’s been floated by the director of the Design Museum … a Minister for Design. This entry was posted in User Centered Design, User research, UX happenings by Nick.